How far would Big Food go to protect its profits? That's the basic question behind Fat Profits the fictional thriller written by ex-Big Food marketer Bruce Bradley. Fat Profits tells the tale of a young snack food executive who learns that his multinational corporation's new miracle low-calorie snack food additive isn't necessarily as safe as it's supposed to be....which in turn leads him to find out that he's not as safe as he's supposed to be either. The book's a great page turner and the read is all the more compelling given Bradley's history. Before leaving the industry Bradley worked as a marketer for companies the likes of General Mills, Pillsbury and Nabisco and consequently has more insight into the ministrations of the food industry than most. While the book itself is a work of fiction, given the stakes involved I wouldn't be at all surprised if the real world of Big Food is truly filled with corporate espionage, duplicity and even at times cover-ups and crime. Fat Profits is an exciting read and the ease with which disbelief can be suspended speaks both to Bradley's skill as a writer, but also to the true-to-life track record of the modern day food industry. 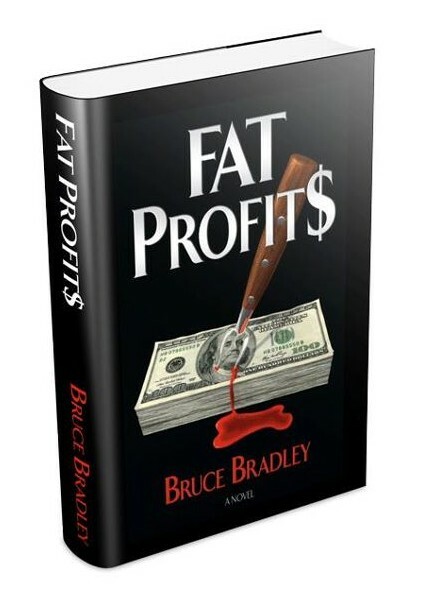 To download a free chapter visit Bradley's Fat Profits page.